“Why would I need a meadow without flowers? Why would I need body without the heart? Why would I need homeland without Shusha? May 8 marks the 26th anniversary of the occupation of Azerbaijan’s ancient town of Shusha by the Armenian armed forces. Since its foundation in the middle of the 18th century, Shusha became one of the main economical and cultural centers not only in the Azerbaijani lands, but also in the whole South Caucasus. 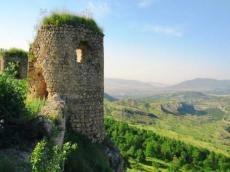 Unfortunately, the history of the city, which has always been considered the heart of Karabakh, was marred by its occupation in 1992. The Armenian armed forces seized Shusha with the aid of the 366th Soviet regiment, killing and disabling hundreds of innocent Azerbaijani civilians, expelling the entire population of the town, and destroying, burning down, and looting numerous cultural, religious and historical monuments. As a result of the occupation of Shusha, 195 civilians were killed, 165 were wounded, 22,000 were displaced and 58 were taken hostage by the Armenians. Their fate remains unknown to this day. After seizing the city, the Armenian occupiers razed to the ground about 600 historical-architectural monuments in Shusha, including the Palace of Panahali khan, Juma mosque, Mosque of Ashagi Govhar Aga, house of poetess Khurshud Banu Natavan, tomb of poet Molla Panah Vagif, plundered and ruined seven kindergartens, 22 schools, music school, eight culture centers, 22 clubs, 31 libraries, two cinemas and eight museums. About 5,000 exhibits from the Shusha History Museum, 1,000 exhibits from State Karabakh History Museum, Shusha branch of the Azerbaijan State Carpentry Museum, museums of Uzeyir Hajibeyli, Bulbul, Mir Movsum Navvab were plundered. The invaders took to Armenia valuable exhibits of Shusha museums, rare Karabakh carpets, samples of folk and fine arts, archaeological finds and many other things. Moreover, the occupiers seized the natural resources of Shusha, such as facing stone, clay, construction stone, fresh underground waters and mineral waters, and used them for their own purposes. As mentioned above, Shusha was founded in the 18th century, by the famous Azerbaijani Khan Panahali on the highest site of the Karabakh khanate. The city was named Panahabad in honor of its founder. As the years passed, the city gave the Azerbaijani nation such prominent figures as Gasim bey Zakir, Khurshidbanu Natavan, Mir Mohsun Navvab, Najaf bey Vezirov, Abdurrahim bey Hagverdiyev, Yusif Vazir Chemenzeminli, Firidun bey Kocharli, Ahmed bey Agaoglu and other eminent personalities. The ancient city was also distinguished for its fresh air and rich nature. One of the symbols of Shusha was Khari Bulbul, a beautiful and unique flower which grows in the mountains of the city, and doesn't grow elsewhere in the world. The flower looks as if a nightingale is sitting on it. Moreover, the Turshsu summer pastures, the Shakilli, Isa, Yukhari Dashalti springs, and the well-known Jidir Duzu valley were extremely popular among travelers. For 26 years, the Azerbaijanis have been living without the Nagorno-Karabakh and its heart, the city of Shusha. The children who were expelled from the occupied Azerbaijani lands are now adults with their own families, and all of them are united with one dream that is yet to come true – the liberation of the seized territories and the return to their native places.